At My Green Mattress, we keep environmental conservation very close to heart. It’s one of the many reasons that we source the best organic and natural materials for our products. So, when we come across a way to promote healthy food and reduce environmental damage, we cannot wait to share it with you. …and so, may I present, Aquaponics! 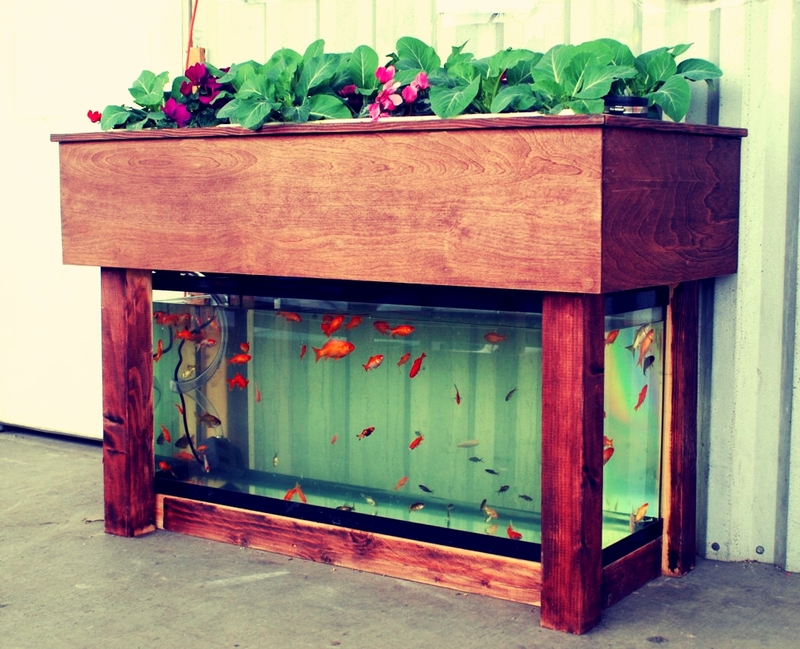 Aquaponics is perhaps the coolest agricultural invention to present itself, ummm, ever! It is a closed-system of soil-less indoor (or outdoor if you’re in a warm climate) agriculture, and it’s a perfect solution for growing healthy food in nearly every community worldwide. 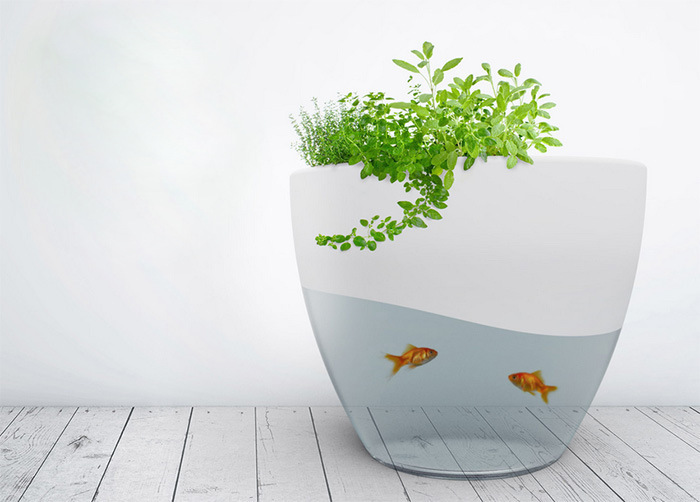 The system connects a fish tank and a plant system, and in this perfectly complimentary arrangement, the fish refuse is pumped into the plant growing medium, where it fertilizes the plants and the fresh water is then returned to the fish tank. This system uses 90% less water than soil-based farming and ZERO chemicals or pesticides. California peeps, take note! I hear we’re running out of water over there in my home state! With aquaponics, communities that reside in food deserts, or regions with poor soil or drought, can grow fresh healthy vegetables and fruits. I’ve seen everything from strawberries to swiss chard, mint and watercress grown aquaponically. Basically, all leafy greens will do well with aquaponics and if you create a well-established, heavy stocked system, you can grow tomatoes, peppers, beans, squash, broccoli and other amazing veggies. Here’s the fun part: aquaponics is scalable. There are industrial size grow houses, and at-home systems that are small enough to reside in your sunny kitchen! I can’t think of a better way to liven up a kitchen than with fresh herbs and cute chubby goldfish! To get started, you can buy a beautiful, home aquaponics kit (Kijani Grows is a great resource), which I recommend for beginners. Or, if you are more ambitious you can build your own system, in which case you’ll need a fish tank, fish, grow bed, pumps/plumbing and supplemental grow lights if necessary. The size of your aquaponic garden will determine the number of fish you require, and the size of your fish tank, based on the following ratios: 1 lb of fish for every 1 sf of grow bed surface area, assuming 12 inch deep beds. For every 1 lb of fish, you’ll need 5-10 gallons of fish tank volume. Start with a 1:1 ratio of bed volume to fish tank volume, and as your system matures you can increase that to 2:1. You’ll need a pump to move water, pipes and tubing for the water to move through and a mechanism for triggering the draining of the grow beds. If you decide to make the system yourself, I highly recommend purchasing Sylvia Bernstein’s book “Aquaponic Gardening,” it’s a complete step-by-step guide. 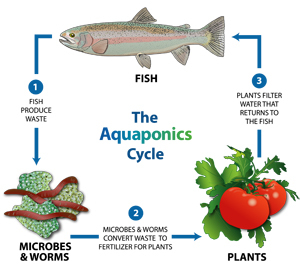 My friends at Colorado Aquaponics are also a great resource. Get involved! Not only will your house have fresher air due to live plants, you’ll have an amazing conversation piece and also be contributing to a cleaner environment with your zero chemical, zero pesticide agricultural system!